Have you seen or heard an ad for reverse mortgages? Did you find it interesting? In a recent study, the Consumer Financial Protection Bureau (CFPB), found that many ads discuss the benefits of reverse mortgages without mentioning the risks. They also found many ads make incomplete and inaccurate statements describing the loans. If important loan requirements were listed, they were often buried in the fine print. While ads for reverse mortgages may show people traveling, enjoying leisure or other activities, reverse mortgages are not for everyone. While ads for reverse mortgages may show people traveling, enjoying leisure or other activities, reverse mortgages are not for everyone. They may be more costly than other options. This report describes reverse mortgages and looks at facts you need to consider. It is a type of loan that allows older homeowners to borrow against the equity in their homes. With a reverse mortgage, the homeowner receives money from the lender but does not have to immediately begin paying back the loan (as he/she would with a traditional mortgage). Instead, the loan must be paid back only when the last borrower, co-borrower or eligible spouse sells the home, moves out of the home, or dies. the borrower must own the home outright or have a low mortgage balance. If money is still owed on a traditional mortgage, proceeds from the reverse mortgage must be used to pay off the traditional mortgage. Is There More Than One Type of Reverse Mortgage? There are 3 types of reverse mortgages: single purpose reverse mortgages, proprietary reverse mortgages, and federally-insured reverse mortgages. Single purpose reverse mortgages are offered by some state and local government agencies and non-profit organizations. These loans may only be used for a single purpose that is specified by the lender. They are not available everywhere. Proprietary reverse mortgages are private loans backed by the companies that develop them. These loans can be used for any purpose and may provide more funds if you own a higher-value home with a small mortgage. Federally-insured reverse mortgages are called Home Equity Conversion Mortgages (HECMs) and are backed by the U.S. Department of Housing and Urban Development (HUD). These loans are only available through an FHA approved lender. They can be used for any purpose. 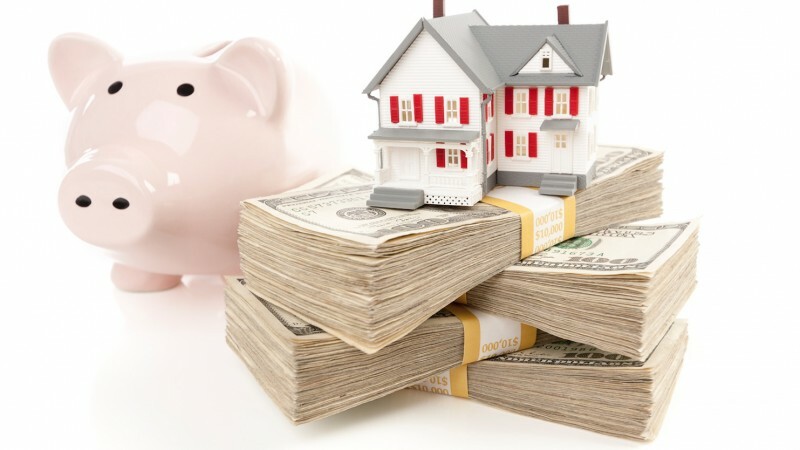 The amount you can borrow with a HECM or proprietary mortgage depends on your age, the type of reverse mortgage, the appraised value of your home, current interest rates, and a financial assessment of your ability to pay property taxes and homeowner’s insurance. The later you wait to take out a reverse mortgage, the larger the amount you can borrow. With a HECM, there is a limit on how much money you can take out the first year. In general, you can take out up to 60% of what you are authorized to borrow. If you choose to receive your money as a fixed-rate lump sum this is the maximum amount you will be able to access. With other types of payout, such as a monthly payment or home equity line of credit, you will have access to the remaining funds after the first year. Reverse mortgages have upfront costs and ongoing costs. Upfront costs include lender fees, an upfront mortgage insurance premium, origination fee, and closing costs such as appraisal, title insurance and inspection fees. For HECMs, the origination fee ranges from $2500 to $6000 and the upfront mortgage insurance premium is calculated as a percentage of the appraised value of the home. The percentage will be either 0.5% or 2.5% depending on the amount you borrow within the first year of the loan compared with how much you are authorized to borrow. Upfront costs can be paid with loan funds but that is more expensive and reduces the loan amount you will receive. Ongoing costs include interest and ongoing mortgage insurance premiums. The loan balance increases each month with the addition of interest and the monthly mortgage insurance premium. Interest and the mortgage insurance premium are calculated each month based on the current loan balance. This means the amount of interest and mortgage insurance premiums increase. The lender may also charge a monthly service fee which can’t exceed $35. Note that the mortgage insurance protects the lender if your loan balance grows to be more than your home is worth. What Other Facts Should You Consider? You will need to plan to maintain the home and to pay the property taxes and homeowner’s insurance. Otherwise, you could face foreclosure. The interest paid on a reverse mortgage is not deductible on income tax returns until the loan is paid off. Consider whether there are less expensive options such as refinancing your current mortgage, using a home equity loan or home equity line of credit, or selling your current home and buying a more affordable home. Make sure a reverse mortgage is the best option for you before you sign up. These resources provide more information about reverse mortgages.